Human beings has nature of negative impulses like ego , jealous etc. fear is one to them , it directly related to our activities and effect our performance. Fear plays role of worst enemy in our personal life. In fact we can say that fear is the main root of our disappointment and sorrows. In our daily life we saw a crowd of human beings who are suffering from fears. When we compare a fearless person with other normal person who is in cage of fear, we found a big gap among them. All great people like Nelson Mandela, Mahatma Gandhi, got a great achievement in life. It is because they always live a fearless life. It is universal truth that fears always gives negative result in human begins. We release that fear and weakness appears together. A student will never achieve a long target if he / she are patient of fears. Similarly a nation will never develop if the government have fearful scheme. We have lots of witness that explain effects of fear such as most of Indian princess always fear to fight with British rulers. But when they understood the power of fearless life, they made history of victory. 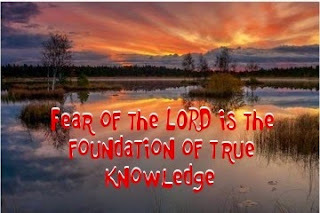 When, fear becomes part of life it blocks the development of skills, Personal, career, finance etc. Each person in this world has fear. When a baby born, he / she inherits fear from environment, society and parents. We found various reasons of fears. Some of them are given here. Poverty, it is a big issue when, a human beings suffered from poverty since childhood they cannot properly develop their mentality and thought against fear. Lack of communication: in this modern world we have no much time to personal interact with each others. We always busy on virtual world like Facebook, twitter and other sites. We are easily connecting with virtual friends but never try to fill the gap between family members. Pain of poor experience: we all gain experience from life. But some of experiences are very painful when we remember it. Indeed fear comes from environment or society but it is not a problems for life time. We can change out thought and mentality against fear. I have already told that fears are the gift of negative impulses that means not a tough work to reduce fears. Only we need to follow few simple steps to overcome from fears . You should try to accept the accurate situation of life as well as we need to try adjust the accurate situation of life and most important thing is , reduce all misconception and superstition from you thought .at the above discussion I want to say that we have lot of ways that can reduce our fear from mind.